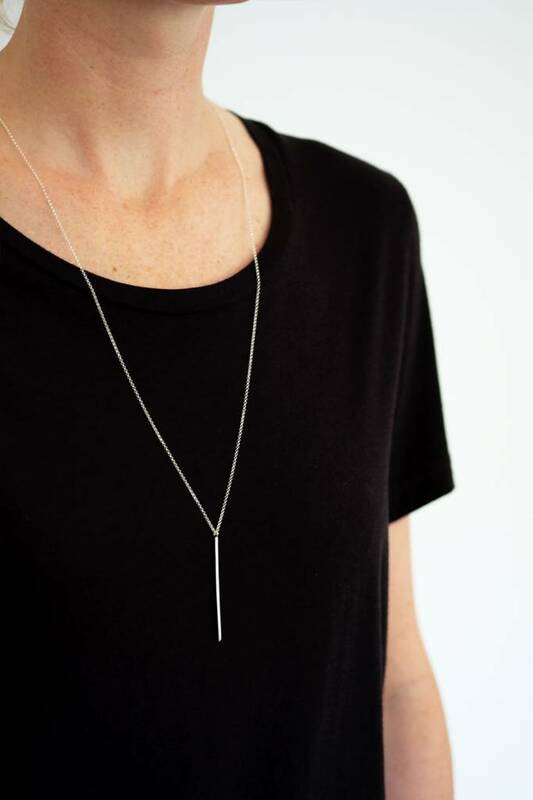 A modern and powerful bar necklace. 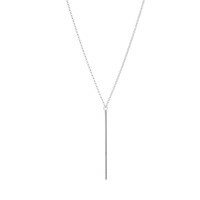 This solid silver bar hangs 13-16" long with it's 2" squared and subtly pointed pendant. The variation in length comes from an extension closure at back, also in sterling silver. 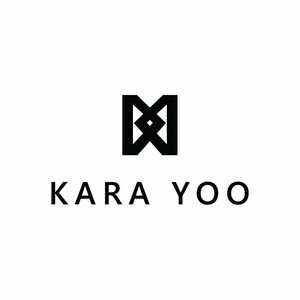 Candadian craftsman Kara Yoo's essentials jewelry line is delicate and sophisticated, yet approachable and joyful. 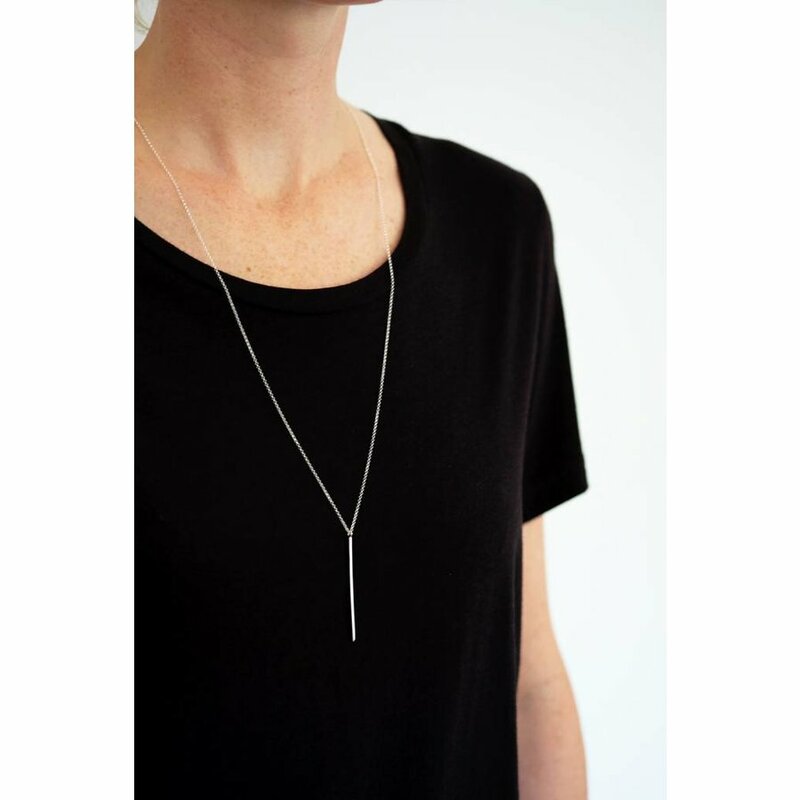 All pieces are nickel-free and hypoallergenic, made exclusively in Vancouver of metals sourced mostly from North America.